From the tropics of Far North Queensland Australia, native timbers are partnered with fine craftsmanship to create eight stringed musical pleasures. Just wanted to share a recent photo of the octave Mandolin in action during a filming with the Enoggera Ensemble last weekend… Such a beautifully made instrument. 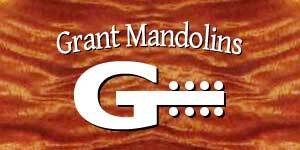 Below are some mandolin family instruments hand built by Rob Grant since 1997. Workshop sales ONLY - no mail orders.